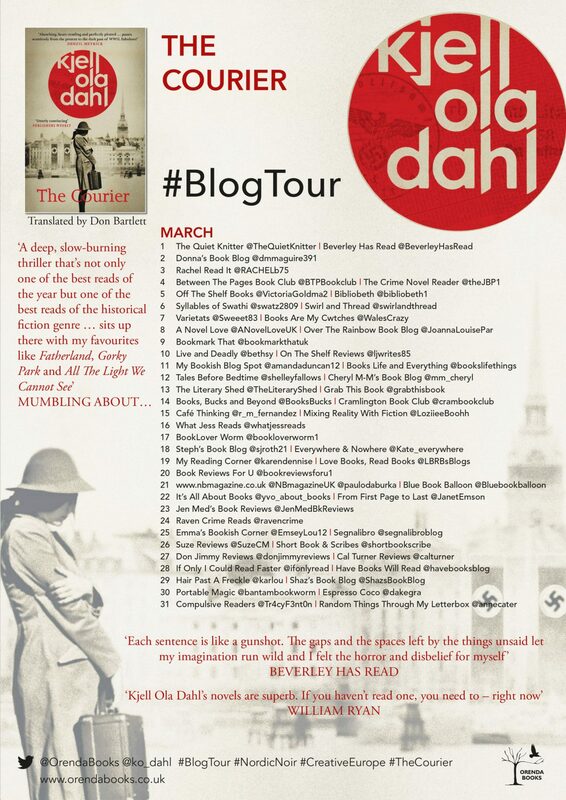 Once again the spectre of WWII, familiar in Scandinavian fiction, looms large in this latest thriller from the always compelling Kjell Ola Dahl. With it’s triple timeline narrative, and an overriding air of conspiracy, lies and betrayal, this is certainly on a par with some of the finest proponents of the espionage genre. I think the stand out feature for me of this particular book, was the real resonance it had of one of my favourite fiction writers, William Boyd, and this is high praise indeed. In much the same way as Boyd has defined his place in the spy genre with his particular attention to and always authentic female protagonists, so Dahl achieves the same thing with Ester. I found her character absolutely mesmerising throughout as she seeks to unravel the crimes of the past, as the story unfolds through 1940s Norway, to 1960s Sweden and then to the contemporary period. I loved that Dahl imbued her character with an equal share of vulnerability, stubborn minded and tenacious invincibility, truly making her character for the reader to become invested in. From the traumatic loss of her family in Auschwitz, to the murder of her closest friend, and then her conflicting hard headedness and attraction to the man she believed responsible of this crime, Dahl puts her through an emotional wringer, which instead of breaking her, just makes her grow in stature among her peers, and allows her to navigate the disturbing vibrations of the past in the present. I must confess, that such was my interest in her character, the male protagonists of the book became shadowy conduits for Ester’s self realisation, but without their attempted manipulations, and seeming duplicity in relation to her, this made for an interesting journey as she navigates her way to the truth. What I also admired greatly was the way that Dahl so fixedly entrenches us in each contrasting time period, as the book does alternate quickly at times between the two. This real sense of time and place keeps us rooted in Ester’s story across the years, and adds contrasting feelings of tension in each era. Obviously, in the Nazi occupied Norway of 1940s and the severe escalation of the Final Solution, the feeling of fear and threat of violence is palpable in these sections of the book. This is further heightened by the illicit activities that Ester herself is involved in. However, Dahl manages to manipulate our sense of tension, which is no less discomfiting, in the 1960s narrative too, as Ester tries to unravel the enigma that is Falkum. This ebb and flow of their interactions, and the veil of secrecy that Dahl manages to cast over events up until the latter stages of the book is effectively done, all leading to an emotional and devastatingly poignant denouement. In much the same way as Arnaldur Indridason has recently explored the Icelandic experience of WWII, adjusting the focus away from the linear murder mystery form to something far more searching and emotionally driven, so Dahl achieves the same in this intelligent and absorbing standalone. 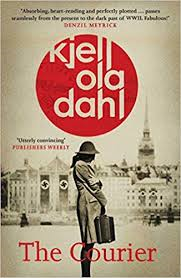 As a fan of Dahl’s regular crime series, I was more than satisfied with this perceptive, and at times, incredibly moving exploration of Scandinavian history. It pirouettes so neatly between changing times, cultural norms (through Dahl’s precise insertion of music and film references) and the growing self awareness and belief of a truly memorable female protagonist. Highly recommended. Gunnhildur reluctantly allows herself to be taken off police duties to act as bodyguard to a man with a price on his head. Hidden away in a secure house outside Reykjavík, Gunna and the high-profile stranger, a guest of the interiors minister, are thrown together – too close for comfort. They soon find they are neither as safe nor as carefully hidden as Gunna and her boss had thought. Conflicting glimpses of the man’s past start to emerge as the press begin to sniff him out, as does another group with their own reasons for locating him. Gunna struggles to come to terms with protecting the life of a man who may have the lives of many on his conscience – or indeed may be the philanthropist he claims to be. 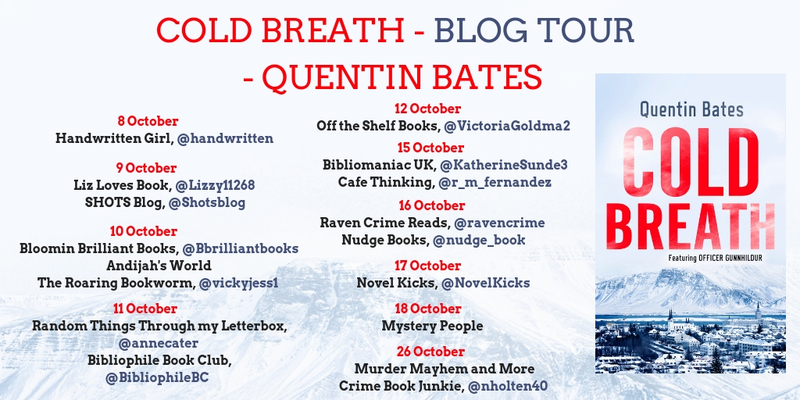 I think where Bates excels is in his central character of Gunna Gunnhildur herself, and the different facets he reveals to her character with each book. Although most of the series to date have dwelt to a larger or lesser extent on her private life, and that of her sometimes wayward offspring, this book puts her firmly centre stage. Bates places her in an isolated position, where her conduits for conversation are either with the man she is tasked with protecting, or her police colleagues, shifting the focus of the book entirely onto how she copes with this new assignment. Suffice to say she proves herself more than up to the task, and with her refresher firearms training, a limited supply of clean underwear, and a steely determination she throws herself into this tricky assignment with a sense of purpose, determination and her customary dry humour. Fending off those who would seek to harm her slippery protectee, and avoiding the equally slippery advances of said protectee, Gunnhildur finds herself involved in a tangled and disturbing global conspiracy, forcing her into a situation that calls on all her training and level headedness. I thought this was a sophisticated and perfectly paced conspiracy thriller, touching on some large and controversial themes, with an even handed and focussed approach. Certain aspects of the conspiracy were very concerning, particularly in relation to the European migration issues, and the way that not all those involved in the charitable aspect of rescue and assimilation may be all that they seem. I enjoyed the political hornet’s nest that Osman’s, the erstwhile philanthropist, sojourn to Iceland stirs up, and the controversial fleeting visit of a gauche right wing American, in addition to the central plot itself. 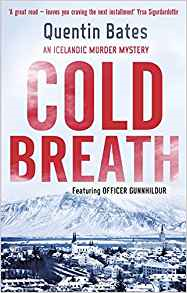 There is a real sense of evasion and coercion throughout, and with four murders in close succession, Gunnhildur and her colleagues find themselves in a fraught and frustrating investigation, stretching from the lowlife of Reykjavik to the harbingers of power. Once again, Bates has produced a really enjoyable, and compelling read packed to the brim with energy, suspense, violence and humour, powered by his own knowledge of and perspective on Iceland. This really is a superb series, and if you haven’t dipped your toe as yet, I would highly recommend them. Gunnhildur is great! Series regular detective Frank Frolich finds himself immersed in two difficult cases, with one of them being personally too close for comfort. Embracing both investigations in his normal resilient, but nevertheless emotionally intense style, Dahl uses Frohlich to expose a visceral tale of drugs, sexual exploitation, and the testing of the bonds of family and friendship. Although the product of a Norwegian writer, Frohlich, always reminds me of Arnaldur Indradason’s tortured detective Erlendur, whose black psyche so consumes the reader. Frohlich always has the tendency to be on the brink of his life unravelling around him, and in Faithless, Dahl takes great delight in using him as a doomed marionette like figure, thwarted in love, betrayed in friendship, and driven to the utmost extreme of behaviour, which cannot help but have serious ramifications. Prepare for some serious sharp intakes of breath as the book progresses. In common with the depiction of Frohlich, Dahl’s characterisation of police and criminal alike is always flawless. There is a wonderful sense to his characters that none are wholly good or wholly bad, and I like the way that most of the characters exhibit at least one component of the seven deadly sins. His police protagonists range display a wide range of characteristics from the straight-laced and po-faced, to the loud and boorish, to the sexually confused, giving the reader much to chew on before Dahl even starts to deal with the criminal fraternity, or those suspected of heinous deeds. The idiosyncrasies and inherent madness of the society and criminals they investigate is embraced in their natural cynicism, and the ways they depressurise from their unrelenting nastiness of their day job. Dahl seems to wholeheartedly embrace the notion of life’s rich tapestry when drawing his characters and their personal foibles, which toys significantly with the reader’s empathies, and plays with our notions of natural justice, and the acceptable degrees of guilt and punishment. Once again, the book is flawlessly plotted, with a beautifully nuanced translation by Don Bartlett ( a Raven favourite due to his wonderful translations of Per Petterson and Karl Ove Knausgaard) which strikes exactly the right chord throughout. With the Scandinavian crime market positively bursting at the seams, the quality of its runners and riders is becoming more obvious with a greater pool of authors to choose from. Dahl firmly remains one of the front runners for this reader, and if you haven’t read him before, start right here. Highly recommended. So we’ve been Burned, Pierced and Scarred so now prepare to be Cursed by the latest instalment in Thomas Enger’s superlative Henning Juul series. Focussing on our dogged, emotionally and physically damaged reporter, Juul, Enger has carved out an exceptional niche in the current Scandinavian crime fiction market. Juul is still endeavouring to find those responsible for the fire which led to the death of his young son, and the physical injuries to himself. This continues to lead him to some dark places, and into the crosshairs of some very dangerous people indeed. Coupled with this are the concerns raised by his changing relationship with his ex-wife, and fellow journalist, Nora and her involvement in a missing persons case at great danger to herself, which sees both their investigations become inextricably linked. Hennning Juul himself, is a compelling character, in whom Enger balances an equal amount of empathy and exasperation on the part of the reader. We can sit back and admire his dogged determination to avenge himself on his son’s killers, and his integrity and professionalism as a reporter. However, I am increasingly struck by the fact that Juul never gives himself an emotional break, and lives his life in a constant state of maudlin despair. He is understandably grieving for the loss of his child and seeking emotional closure for this, but is in a state of denial that Nora will return to his warm embrace, particularly as she is now involved with another man. Indeed, I fear that such is his closed off state that he will fail to feel a warm embrace from any quarter. Like Enger’s assured characterisation of Juul’s estranged sister Trine in previous books, Nora is a well formed and believable character. Torn between two lovers as it were, and not without personal flaws, she possesses a steely glint in her eye when it comes to uncovering the events surrounding the mysterious disappearance of her former friend. She has an equanimity of character that allows her to drift between different social worlds, nagging away at the truth, although there is one exceptionally foolhardy action she takes that had me sighing in despair, the only kink in an otherwise perfect narrative. Having favourably reviewed Enger’s previous three books, I am always struck with the control of pace and plot that is a standout feature of his writing. There is a real feel of storytelling in its purest form, and his books are always plainly delineated into a balanced beginning, middle and end, so consequently the reader is quickly drawn into the storyline, and carried along at a smooth and satisfying pace to the final denouement. There is always an element of surprise and wrongfooting in Enger’s plots, and a feeling of darkness as to what leads people to act and think in such malignant ways, played out against Enger’s pitch perfect use of socio-historical detail. I will issue my normal proviso that even if you are joining this series at this later point, Enger roundly and concisely brings the reader up to speed with previous events in Juul’s tortured personal history. Being a bit fly by night, and sometimes a sporadic follower of series, I have been totally consistent with Enger’s series to date, and by working a little bit of teasing magic at the very close of this one, I’m pretty darn sure that the next one will be a bit of a must read too. All in all another fine example of engaging Scandinavian crime fiction that ticks all the boxes for this reader. Recommended. From the outset we are completely immersed in the suffocating claustrophobia and changes of tension that exist in the relationship between Allis Hagtorn and her new employer, the mercurial and distant Sigurd Bagge. Almost instantly I was reminded of one of my favourite books, Embers by Sandor Marai, that is built on the discourse between two characters, and the revelations from the past that come to light. 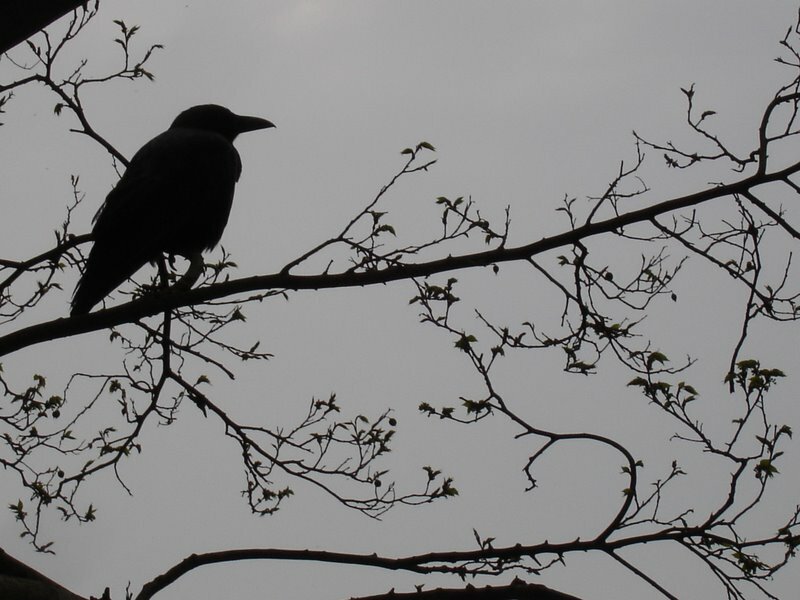 To sustain the reader’s interest with such a compressed cast of characters is always a difficult task, and having read other books that have spectacularly failed in this respect, Ravatn stood tall. Using the dual protagonist structure, with only the intermittent appearance of a local shopkeeper, the reader is anchored firmly in the lives of both Allis and Sigurd, and witness to the unfolding details and changing parameters of their relationship, as if viewing them on a stage with the reader as the single audience member. It’s beautifully done. As Ravatn slowly reveals the emotionally charged and turbulent details of both character’s back stories, where we are, in common with Allis, slightly on the back foot, she weaves a story laden with myth, guilt and undulating emotions. By incorporating the essence of myth, and the consistent references to the changeability of nature, our sense of reality is manipulated, and sometimes the writing attains a dreamlike quality, affecting our perception of Allis and Sigurd and their true natures and intentions. In common with Patricia Highsmith, and early Ruth Rendell, Ravatn ramps up the psychological tension and underlying menace, and I liked the allusion to another seminal work of English fiction, which would act as too much of a spoiler if I was to mention it here. The writing, and the dialogue, in particular is clipped and measured, and every sentence seems to exist under the weight of precise authorial intention. No word or image is wasted. When you encounter a book like this with its unique intensity, it does return to your thoughts now and again. That to me is a sign of a good book and The Bird Tribunal more than fits the description. It’s dark, psychologically tense and packed full of emotion both overt or deliberately disguised, with the reader invited to fill the spaces between. Not forgetting the flawless translation by Rosie Hedger too. Highly recommended.